Sister Greene of Sisters of Salazar is a local artist and cosplayer who specializes in markers. She has created many pieces using copics and prismacolors. 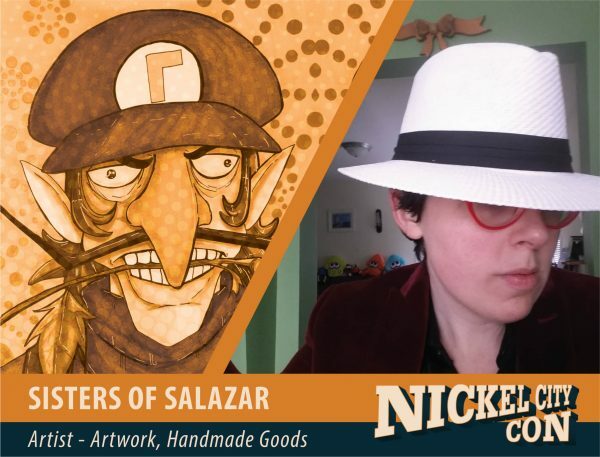 She also works digitally, and will be putting out her first ever comic that will be available at Nickel City Con. She looks forward to yelling about all the things with you this May.